Welcome back to Student Life – the series where we meet real distance learners and follow them when they're studying - and when they're not. Each student talks about how they manage a particular aspect of their studies. Let's meet the next student – Truddy – and find out how she tackles distance learning project work! 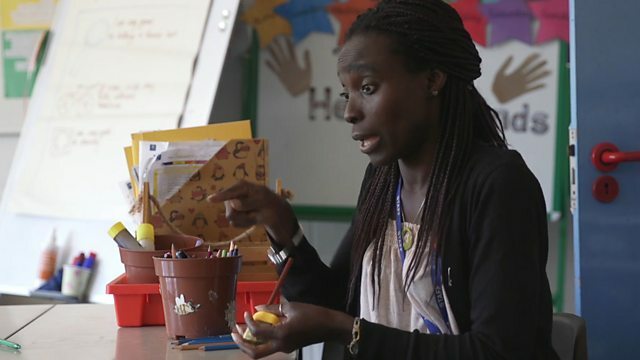 Truddy is a mother, school worker – and a distance learner. She also lives with a long-term health condition. As part of her distance learning course, she had to complete a longer project. How did she manage to fit this into her busy schedule? Scroll down to watch the video and find out how Truddy stays on top of her project work! Looking after children, getting ready for work, taking care of the garden – when you have a busy life like Truddy, completing projects for your distance learning course can be a big challenge. Watch the video to find out how Truddy stays on top of her project work. While you watch, listen for what Truddy says about how projects are DIFFERENT from standard distance learning assignments, doing RESEARCH for her project, and taking TIME to write up her project. Write it down if you like and you can check your answers – in an activity – later on this page. I think for me, my life never stops. You know, I'm always on the go. I've got four children. It can get quite interesting; it can get stressful. On Sunday, we go to church. Church has become very much a part of our lives. It's given us a social life. When we get back from church, we do three sets of washing. We get homework out of the way. We get violin practice out of the way. Sometimes, you just need somewhere to just go and be you, and have a quiet moment. And my garden is my sanctuary window. Sometimes, I just sit there, you know, and listen to the birds and think how far I've come, you know, despite all the odds. I'm currently studying children's literature and it's my final year of study. The project I did is part of my distance-learning course. It's about children's literature, say, from the beginning of when people started to write for children, and how it's evolved over the years. You choose a question, and then you sort-of bring together all the assignments that you've done. The length of the project is different from the normal assignments: it's twice the normal assignments. It's involved a lot of online research, a lot of group discussions, and media research, which I find difficult. You get placed within a group, and then you choose a book, and then you discuss it. If you choose a book that's been made into a film, you also have to look at the film; look at the reviews and the criticisms it's had, and then you compare and contrast it. I did online research on various criticisms, but the majority of it was writing: I did a lot of writing. You have an introduction. You have your body and the conclusion. For me, it was a big challenge. Fortunately for me, my group were very supportive. With an assignment sometimes, I can sit there in one day and write it. In writing a project, you've got enough time to do it. You get somebody to read it for you to see that it makes sense and I don't often get to do that with my assignments. 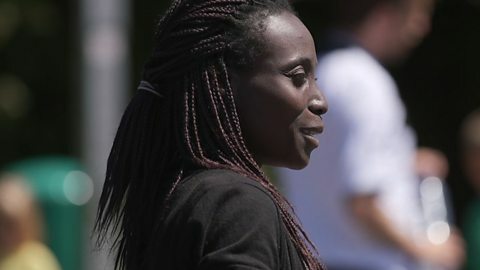 I suffer from sickle cell disease: it's a genetic illness, so it constantly makes me anaemic. I haven't got an immune system because of that, so I tend to spend a fair bit of time in hospital. Distance learning has been good for me because it has reduced that travelling to university, and your disability shouldn't limit you. So, you're here to dictate to that disability and not the other way around. Currently, I work as a teaching assistant. On a daily basis, my job is very interesting; no one day is the same. I do love my job. I think the children bring the best out of me, and hopefully I bring the best out of them as well. After I've graduated, I hope to train as a primary school teacher, come out as a professional despite all my difficulties, and make my children proud. We asked you to listen for what Truddy said about 1) how projects are DIFFERENT from assignments, 2) doing RESEARCH, and 3) taking TIME to write up the project. Try the activity to check your answers. Truddy said the length of projects was "twice the normal assignments"
Truddy's project "involved a lot of online research, a lot of group discussions, and media research"
Truddy said that "In writing a project, you've got enough time to do it"
You've nearly reached the end of this unit. We hope that Truddy's story has left you feeling more confident about your own academic projects! At the bottom of this page you can find links to more useful materials for distance learners! But before we finish, let's recap what we've learned about completing projects in distance learning. Project work is different to your standard assignments – projects might be twice as long and involve a lot more research. Broaden the scope of your research for your project – read online, discuss in groups, look at reviews and criticisms to get the whole picture. If you're doing your project as part of a group, be supportive – helping others and working together is a big part of successful project work. Projects are longer than assignments, so take your time. You can explore your topic in more depth and maybe even get somebody to check your work. Your tutor and fellow students are all there for you – so if you get stuck, ask for help! There's lots more about Truddy and her project work experience that you can see by visiting our partner The Open University. Click on The OU 'Where next?' link to find out more.